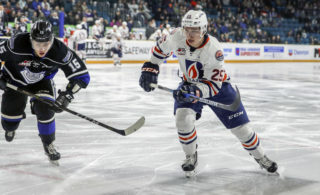 Kamloops, BC – The Kamloops Blazers’ two European players have a lot to look forward to despite the Blazers season ending this past Friday night. Defenseman Marek Hrbas has signed a two-year deal with HC Sparta Praha which is based out of Prague, Czech Republic. Forward Tim Bozon will play for France at the upcoming IIHF World Men’s Championships in Stockholm, Sweden and Helsinki, Finland. 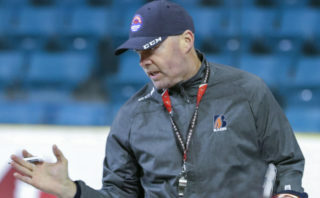 Hrbas has played the past two seasons with the Blazers after being acquired from the Edmonton Oil Kings in June 2011. The 20-year-old defenseman played 158 regular season and playoff games for the Blazers putting up 57 points in that time. HC Sparta Praha plays in the Czech Extraliga league. This is the top league in Hrbas’ native Czech Republic, one division below the renowned Kontinental Hockey League. 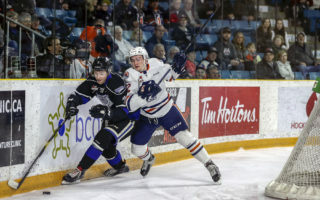 Bozon also recently completed his second season with the Blazers. 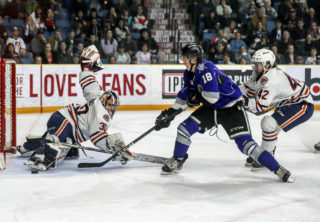 The recently turned 19-year-old had another terrific season for the Blazers finishing second in team scoring with 91 points and a team leading +37. The Montreal Canadiens’ third round draft pick will join the French National Team tomorrow in Helsinki as they open the World Championships on Friday, May 3rd against Slovakia. Bozon is expected to return to the Blazers for the 2013-14 season. 2013-2014 season tickets are available now. 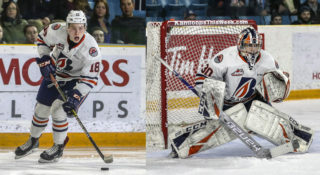 For more information, contact Ticketing & Promotions Coordinator, Missy Cederholm by phone at 778-471-8068 or by email at mcederholm@blazerhockey.com. For pricing information, follow this link.